Hello Everyone! It’s time for October’s Minis and More Parade, hosted by Sherri and Michele. If you are looking for Save The Bees Block 3, scroll through this post or go here. Make sure you leave a comment on that post for your chance to win a small box of Aurifil Thread. This month’s mini is Endless Summer by Sherri McConnel of A Quilting Life. I want to thank Sherri for giving the pattern to all the September parade participants. I made mine into a Christmas table runner using mostly Vintage Christmas fabrics by Bonnie and Camille for Moda. The gray outside corners are from a Bunny Hill collection for Moda, the inner red border is a Henry Glass fabric, and the background for the outer blocks, sashing and borders are Moda Grunge. The binding is from The Good Life collection by Bonnie and Camille for Moda. This is Sherri’s original Endless Summer pattern in her new collection of Walkabout fabrics, available in early winter. I found the perfect place for it on this chest in my upstairs landing. Only 84 more days until Christmas! ( I looked it up). After Thanksgiving, I’ll put the table runner out for the season. I had fun quilting this one. I quilt on my Pfaff QE 4.0 domestic machine. When doing ruler work, I use a Westalee ruler foot. I thought it would be fun to have radiating lines coming out from the “sun”. I also quilted a curved cross-hatch in the center. I used the Handi-Quilter Versa Ruler to quilt the straight lines. I eyeballed the lines instead of marking them on this runner, so they aren’t all exactly in the same place, but they are close enough. I quilted free motion loops on the inner background triangle. For the circles in the sashing and inner border, I marked the circles using an air erasable pen and this circle template. My circles aren’t perfect, but since I marked them, I had a guide for the placement. On the outside border, I used “Squiggy”, a new ruler from Creative Grids designed by Angela Walters. I marked the starting and ending point of each curve in the border, then started quilting at each end and worked towards the middle, working in the curves in at the center. For the back, I used old Kate Spain 10″ layer cake squares that I’ve had for a long time. This is a good way to use up those leftovers. Be sure to check out the rest of the parade with Sherri and Michele. I am off in a couple of days for my first overnight quilt retreat. I’m looking forward to getting a lot accomplished and spending time with fellow guild members. 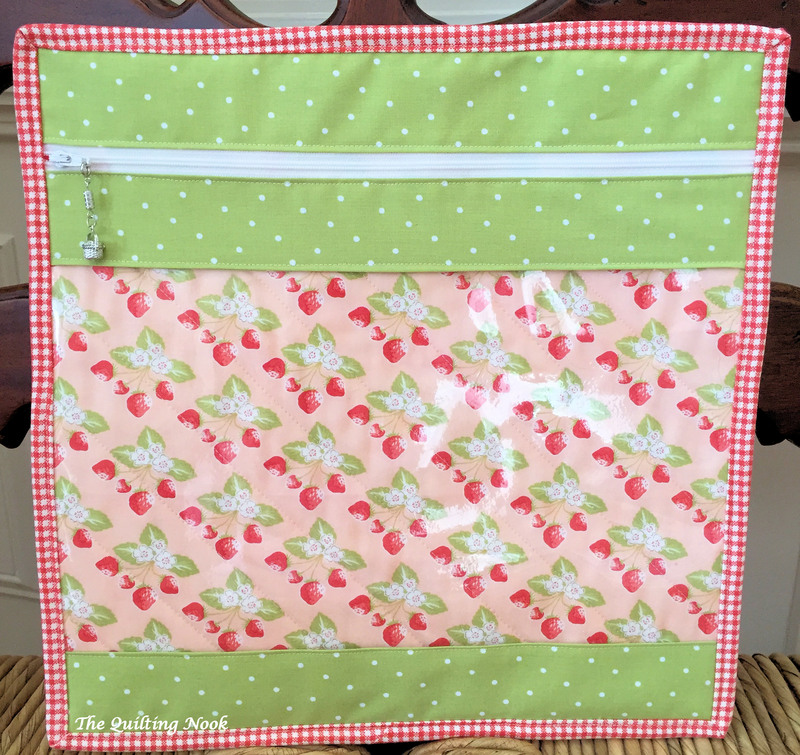 This entry was posted in FMQ, Free Motion Ruler Work, minis, Minis and More, Rulerfoot Quilting, Uncategorized and tagged FMQ, free motion quilting, minis, Minis and More, Ruler Work on Domestic Machine, rulerfoot. Bookmark the permalink. Thank you for showing what rulers you used and where. I found that very helpful, being a new Quilter. Thanks for the info about your quilting.